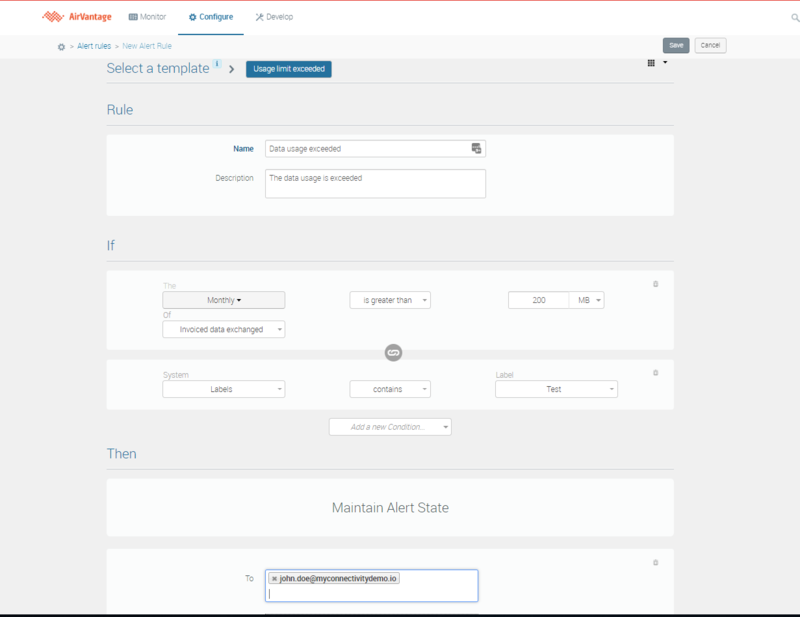 The Configure activity helps you to create and manage alert rules and labels. Several alert rules templates are provided as examples, with pre-filled condition values. To create your own alert rule, change values as needed and/or add more conditions. The Custom template is a template without any pre-filled condition values. 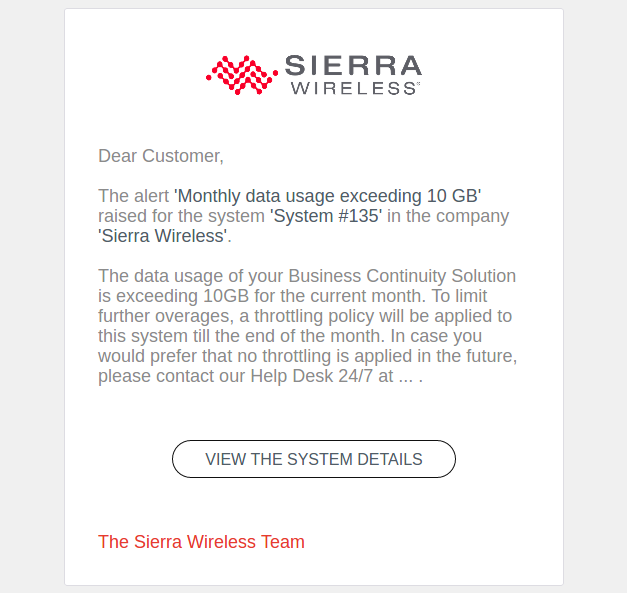 Below is an example that raises a “Monthly invoiced data usage exceeded” alert and sends an alert email when a system exceeds 200Mb data usage in the current month. Note that you can change the period on which the usage shall be aggregated and also the type of usage that is taken into consideration. With ‘System has label’, choose the label of choice to have the alert rule match on part of the company fleet only. You can decide whether or not to receive an alert notification by email (for more information, see How to create a new alert rule? ). If you wish to suspend systems that are overconsuming or if you suspect fraud for example, this action can be of interest to you. With template ‘usage exceeded’, if once your system is suspended you want to reactivate it within the same month, you will need to act on the system to avoid suspension again: either to change the offer on the system (and use the condition ‘system has offer’ in the alert rule configuration) or to play with labels and the ‘system has label’ condition. To switch to a higher rate plan if your system is consuming more than expected. 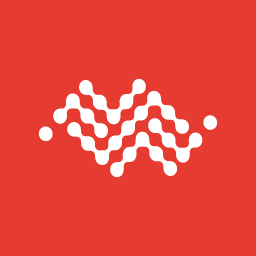 This change offer action shall be used in conjunction with the ‘system has offer’ condition. The Labels section displays the list of labels created for the company you are working on. User-defined labels can then be used to group entities like systems, for instance in matching conditions for alert rules. To create a new label, click the + button. How to cap my usage consumption?